We offer wetpour rubber safety surfacing in a range of depths and colours to suit your every need. We offer a full service of creating a stone base and laying the surfacing as well as overlaying the wetpour surfacing over your existing surface. 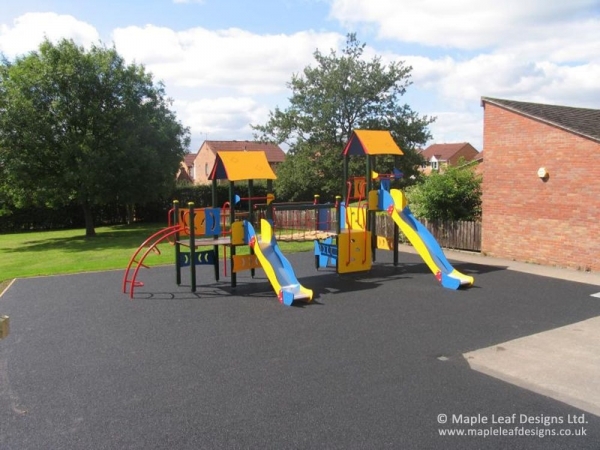 Colours available are black, black with a colour fleck and single colour, we also offer patterns or shapes to be laid into the surfacing such as roadways.